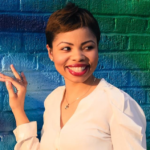 The Arts & Business Council of Greater Nashville announces its 2019 Periscope: Artist Entrepreneur Training (Periscope) cohort. Comprised of promising artists of an array of disciplines, Periscope is a dynamic, year-round professional development opportunity that helps accomplished artists take their careers to the next level of sustainability and growth by looking at their artistic practice through an entrepreneurial lens. The group of 20 artists is chosen through a competitive application process. Applicants were scored by panels of community reviewers including leading artists, curators, and musicians in Nashville’s arts and culture scene, Periscope program alumni, as well as representatives from program partners such as the Nashville Area Chamber of Commerce and Southwest Airlines. Periscope, now in its sixth year, saw a record number of application requests from across the Greater Nashville area. In addition to making the selection process more competitive, the number of requests attests to the growth of Nashville’s creative community and the need for programming dedicated to building thriving creative businesses. Periscope: Artist Entrepreneur Training is a partnership with the Nashville Entrepreneur Center (training and host partner), Metro Nashville Arts Commission (artist mentorship partner), Nashville Area Chamber of Commerce (promotional partner), and the Mayor’s Office of Economic & Community Development and Southwest Airlines (opportunity partners). Training begins this week and continues through May 2, meeting once weekly. Following the training portion, artists are matched one-on-one with high-caliber mentors to help them further develop their business strategies and prepare for the Periscope Pitch in September. There will be a special opportunity prior to the Periscope Pitch for credentialed members of the press to meet the artists and hear from each of the program partners. Interested media may reach out to media contacts listed to register to attend. 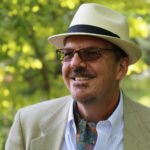 Alan Fey is a classically-trained percussionist, arranger/composer, conductor, and arts administrator who specializes in new music. 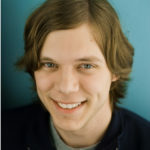 He studied with Chris Norton at Belmont University, where he earned his Bachelor & Master of Music degrees. He spent a year in Dresden studying with Bernhard Schmidt, timpanist with the Dresdner Staatskapelle. A regular performer with ALIAS Chamber Ensemble, Fey has performed with the Nashville Symphony, INTERSECTION, as a concerto soloist with the Nashville Philharmonic and Belmont Symphony and throughout the southeast. He directed the Nashville premiere of JLA’s Inuksuit and was the assistant music director for two Belmont Opera productions. Additionally, he has arranged over a dozen works for soprano, choir, percussion, and more. 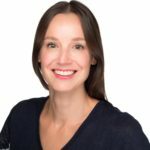 In early 2019, Fey was appointed as the managing director of ALIAS Chamber Ensemble and was named the operations assistant for the Nashville Philharmonic Orchestra. He serves on the planning team for Make Music Nashville, having co-founded it in 2014. Interdisciplinary artist Amber Lelli is interested in exploring concepts, asking questions, and choosing the medium and materials best fit for those ideas. Looking through her portfolio you will witness everything from bronze surreal portraiture to innovative marquetry and colorful prints. Lelli holds a B.F.A. from Middle Tennessee State University in studio art and has shown her work throughout the nation, winning various awards and scholarships along the way. She also has a background as a commercial artist creating public works and themed environments for businesses, movie productions, music festivals, and The National Bible Museum in Washington, D.C. As an artist, sometimes educator, and entrepreneur, Lelli has a desire to push, examine, and understand the potential of art beyond typical conventions and contribute to society in a way that leads to tangible help, innovative policy, and creative solutions to some of the problems facing our local and national communities. Anna Haas is a photographer, director, graphic designer and musician in Nashville, TN. After graduating with degrees in theater, directing, and dance from Emerson College, her career has followed an array of trajectories. She has acted for stage and film, danced with modern dance companies and released two albums of original music. Recently, she composed and directed the music for the off-Broadway play Seph and movement directed Orlando at Vanderbilt University. She is currently the owner of Red Hare Creative, a visual media company specializing in photography, video production and graphic design for musicians, businesses and entrepreneurs. 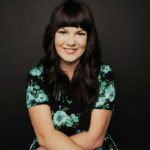 She has photographed numerous portraits and directed eight music videos for local and national recording artists. She has received over forty awards for her film work at various international film festivals. 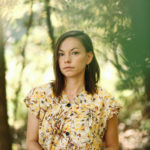 Her photography series, Ghosted, curated by Tony Perrin, was recently exhibited at OZ Arts in Nashville. Carolyn Boutwell is a Nashville based figurative sculptor, focusing on three diverse styles: neoclassical, caricature, and the human form as abstract figurine. She works primarily in water-based and polymer clays. In her work, Boutwell leverages a classical style to convey themes and passions of modern times, while emphasizing and drawing the viewer to these concepts with an intense focus on expression and anatomical detail. Included in her body of work are portraits of Nashville notables, currently on display at the Nashville International Airport. In sculpting their likenesses, Boutwell constructed an emotional snapshot of each individual, recreating a bit of their story with an underlying sentiment. As with this and her other pieces, by making a statement from what she sees, Boutwell wants the observer to feel deeply, even allowing themselves to be emotionally vulnerable, and to ponder the encouraging message in her art. As a small-town native and Memphian, Coretta King spent her childhood thriving around a vibrant music community. She was encouraged to share her musical talents and voice locally and abroad in church, service projects, and performance groups. After graduating from Bowdoin College in Brunswick, ME, King embraced her passion for singing-songwriting. During her time in Memphis, she honed her craft with The Consortium Memphis Music Town, an organization founded and mentored by renown Songwriter Hall of Fame Inductee David Porter. King’s voice and jingle compositions have hooked listeners to on-air radio programming, like the Earle Augustus Show (103.5 FM, V101 FM). In addition, King opened for Grammy-nominated singer Michele and played music events at Hard Rock Café (Memphis) and Backstage Nashville. 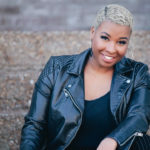 Since moving to Nashville, King continues to use her artistic skills to spearhead marketing campaigns and assist branding initiatives for various businesses and influencers in the media and entertainment industry. Dorinda Nicole Walker is a choreographer, mentor, entrepreneur and creative director. With her ten plus years working in the commercial industry as a choreographer and in the dance world as an instructor, she has trained women of all kinds in the areas of performance, expression, and confidence from the camera to the stage and beyond. Along with over a decade of experience in various leadership roles, from teaching and counseling to running multiple camps simultaneously to directing ministries to owning and operating her own dance studio for three years, Walker’s passion is to create purposeful, personal and cultural impact. She loves to see light bulbs go off when women realize the kind of potential they truly possess, and she makes it her life’s work to spark them into action. 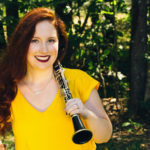 Emily Tyndall is a freelance clarinetist based in Nashville, TN, where she works as a performer and private instructor. She completed a bachelor’s degree in instrumental performance at the Schwob School of Music at Columbus State University in Columbus, GA, and a master’s degree in music performance at the Guildhall School of Music and Drama in London, UK. 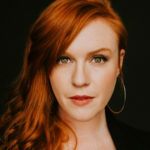 Tyndall is currently the principal clarinetist of the Nashville Philharmonic Orchestra and is also a founding member of the contemporary classical ensemble Sound Riot, an all-female mixed chamber ensemble specializing in contemporary music whose mission is to build relationships with emerging composers and to engage in community partnerships. Recent local collaborations include new music technology group Blind Ear and dance company New Dialect. Erin Connally is a freelance watercolor illustrator and enthusiast of imagination. She loves finding the mystical in the mundane from bugs and books to flora and food. Erin uses muted natural colors and a classical romantic aesthetic to create illustrations for industries including (but not limited to) book and magazine publishing, restaurant and cocktail concepts, and botanical gardens and historic landmarks. Helen Stackhouse (a.k.a., A.M. Hassan) joined the POVA Artist Collective in September 2016. She is from Nashville, TN, and was homeless in California for a year with her husband. She graduated from Nashville State Community College with an associate’s degree in architectural engineering and studied drafting/architectural design at Gulf Coast Community College in Panama City, FL. Her work has been featured at numerous events and exhibits over the years, including the Centennial Art Gallery in the Nashville Parthenon, and various locations in Panama City. She is transitioning into creating paintings that deliver a message. Her mediums of choice are acrylic, watercolor, oil and pastel. She also designs wall murals, wearable art, and craft items. John Mahler is a newly minted apprentice clockmaker with over 14 years of experience in clock repair and restoration. He recently completed a series of courses with Master Clockmakers David Lindow and Stephen Franke in Gravity, PA, and will be expanding his restoration business to include the design and manufacturing of handmade heirloom-quality clock movements. 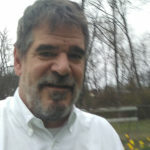 A resident of East Nashville since 2001, John can often be found outdoors gardening, working on landscaping projects or out on the trail for a run. He also enjoys music and plays flute with Nashville’s WO Smith Community Orchestra. Keavy Murphree is a ceramic sculptor making animal-inspired figures and emotive faces. She enjoys combining precise shapes with organic forms, using a variety of hand-building techniques. Murphree is forever inspired by her children, along with prehistoric and folk art. Her interest in ceramics started at a young age and continued as an undercurrent throughout adulthood. Since 2016, she has worked towards a full-time sculpture practice after more than a decade working in design and product management. She received her B.F.A. in industrial design from the University of Illinois at Champaign-Urbana. Murphree lives and works in Nashville, TN, with her family and toothless shih tzu. At a young age, Kelly Savoca was drawn to becoming a designer in the fashion industry. 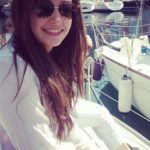 After having worked in the industry for 10 years, she came to realize the many issues that come along with designing and manufacturing in the fashion industry, both environmentally and ethically. She thinks back to a time when her dad was empowering U.S. factories and their workers, only to see them slowly diminish. Maybe this was always in the back of her head. With this knowledge, accompanied by her love of gardening, Savoca began to realize how symbiotic the relationship is between farming and fashion. Her goal is to create a more sustainable, lifestyle product offering where consumers have peace of mind and support in their buying decisions. She’d like to shift the way a customer thinks about buying a product and engage them in the process. Savoca’s design experience spans companies such as Gap, J.Press, Gilded Age, and Oshkosh B’gosh. After graduating from Pratt Institute with a B.F.A., she continued her education with horticulture courses at the Brooklyn Botanic Garden. Having spent 15 years in Brooklyn, New York, she now calls Nashville, TN, home. It only feels right after the many summers she spent in Tennessee as a child. Lindsay Walker is the owner, designer, and craftsman for Walker Jewelry, a company based in Nashville and formed five years ago with an aim to create well-made and responsibly sourced jewelry that includes a strong story and a “less is more” design aesthetic. Walker began metalworking over 10 years ago as a coppersmith for the Urban Electric Company in her hometown of Charleston, SC, and then moved to Copenhagen, Denmark, to study jewelry design for four years. 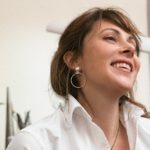 Since starting Walker Jewelry, she has taught over 200 people basic metalsmithing techniques through hands-on jewelry making classes in Nashville. Recently Walker was nominated by the Nashville Fashion Alliance for the 2018 Emerging Talent Award and has exhibited and sold her work at Zeitgeist Gallery, Julia Martin Gallery, and The Appalachian Center for Craft. 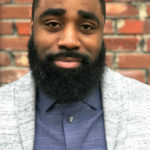 Lou Oshay is a music creator and educator and the founder and owner of Oshay Music Group, LLC., a music production company that exists to amplify market visibility for his clientele. Oshay has over a decade of combined experience in curating and creating music production and business curriculum, new recording artist coaching and consultation, and editing, mixing, and production in recording studios. Oshay is an Apple Certified Pro-Logic Pro X user, a writer and music publisher with ASCAP, and a professional member of The Recording Academy and Audio Engineering Society Nashville chapters. 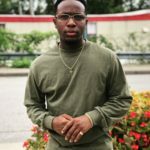 Oshay was a top 10 finalist of the iStandard Beat Camp Nashville producer showcase in 2015 and is a two-time recipient of the Star Awards given by the Nashville Hub. He regularly attends conferences and networking mixers such as the ASCAPICreate Music EXPO and the Urban Songwriters & Producers Mixer. Oshay also cultivates mentorships with high school students who are interested in pursuing careers in the music industry. Mayter Scott spent fifteen years in the hospitality industry before venturing out on her own as a food and lifestyle photographer. She stepped into photography when a restaurant she helped manage asked her to take some photos of the space for an article in The Wall Street Journal Magazine. The article was highlighting the growing food community in Germantown. Scott has a passion for the food community. 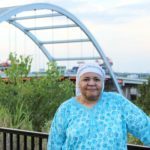 She wants to visually tell the stories of all involved in helping make Nashville a radiant and diverse hospitality center. She was also published in Edible, Nashville Lifestyles, Eater Nashville, and Garden & Gun. When Scott is not at a photoshoot, you can find her with her bloodhound, Merle, and husband, Winston, drinking tons of coffee and walking at Shelby Bottoms. 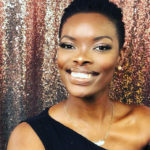 Mirrah Johnson is an artist and educator from Tennessee. She dyes, sews and weaves, working with natural fibers and dyes. In 2017, she completed her B.F.A. in fibers at the Appalachian Center for Craft, where she was able to learn skills in several craft disciplines including metals and woodworking. She has worked as an intern at Penland School, seamstress, and teacher since earning her degree. Currently, she is preparing to start a business selling wearable and functional textiles, making fine art, and teaching classes. She has been Fiber Artist in Residence at STARworks Center for Creative Enterprise, and her work is currently on show at the Southern Highland Craft Guild in Asheville, NC, as a part of Deliberate Works. Roz Welch is an entertainer and creative entrepreneur. She started in entertainment as a radio disk jockey and fell deeper in love with music, people and God. 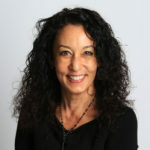 Hosting live radio lead Roz into emceeing live events where she thrives in engaging her audience with contagious energy. As she continued hosting, Roz discovered her own talents for songwriting, creating music that moves people, and generating an engaging atmosphere with her live performances. It’s her genuine love for God and for people that continues to inspire her to create more outlets for people to connect and have a good time. Her worldwide travel continues to spark within her the desire to build economic stability in underserved communities. 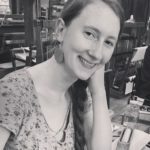 Roz is excited about the opportunity to be a part of Periscope: Artist Entrepreneur Training, and she looks forward to developing her desire into a sustainable business that merges seamlessly with her flourishing creativity. 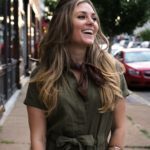 Fueled by her love of music, travel, and wellness, Sadie Hart from Saint Louis, MO has made a name for herself in creative circles around the globe. From studying music and theatre in London, to headlining shows in the New York City songwriting scene, to teaching yoga in the jungles of Costa Rica, she strives to be well, serve well, and turn her experiences into song. Influenced heavily by The Beatles, The Everly Brothers, Bob Dylan, and the Great American Songbook from her extensive musical theatre background, Hart’s award-winning songs have garnered praise—most recently, her song “Dirty Little Secret” nabbed a spot in the American Songwriter Magazine Lyric Contest (July 2016). On and off the road, she spends her time leading women’s circles, teaching and practicing hatha & bhakti yoga, and investing in the craft of songwriting. 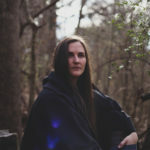 Hart currently resides in Nashville, TN and is completing her next record of original music. Tim Gent is a 25-year-old artist from Clarksville, TN, who has been making a name for himself since the release of his 2015 mixtape, “Clarksville Nights.” After appearing on Case Arnold’s debut album “SO (U) L Theory,” Gent continued seeing success with the release of his first fully-distributed single, “Lady America.” The track garnered heavy attention across many online outlets, charted #1 on Spotify’s United States Viral 50, and recently earned Gent a spot as one of the only up and coming artists on Spotify’s new Patriotic Passion playlist. After spending the second half of 2017 releasing a string of singles, Gent garnered even more online buzz, which led to features from Hot New Hip Hop, Sway’s Universe, The Tennessean, and a full-length interview with NPR: World Cafe. The end of 2018 brought the release of Gent’s new album ”Life Away From Home,” which has been well-received by fans and critics alike. Originally trained in architecture, Will Winton has embarked on a new path that uses his innate design skills, artistry, and inspiration to create unique pieces of sculptural furniture. Incorporating a variety of both common and rare, sustainably-sourced hardwoods, his furniture design pulls from several traditions, including Arts and Crafts, Art Deco and Mid-Century Modern. Winton has created an oeuvre of arresting, complex designs, using the wood to “tell the story, charm the soul and yet be fully functional furniture.” Winton exhibits widely throughout Tennessee and plans to expand his market throughout the Southeast. His studio is located in Sewanee, TN, about an hour and a half drive from Nashville.